For me, applying make up is pure joy, but cleaning the brushes is pure pain. And I am guilty for not washing them as often as I should. So after all the hype about Sigma glove, I wanted to try something simmilar, since I couldn't justify the ridiculously price tag Sigma have. After searching on ebay, I came across this little gem. It will change the way you clean your brushes! Before Bush Egg I cleaned my brushes in my palm, just swirl it around, with a little help of soap. Now I just stick two fingers in it, apply a little drop of hand washing soap and swirl the brush around the egg. The middle part is ideal for bigger face brushes and the end of it, those little cylinders are perfect for smaller eye brushes. The best part is that my hands stay dry trough the cleaning process. And I am pretty sure, that it speeds up the whole process a little bit. 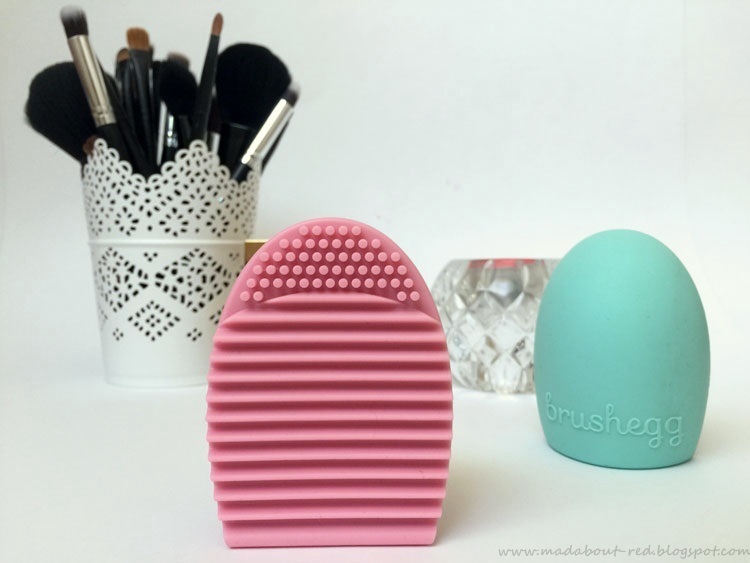 I think you all should spend the tiny amount and get this cute Brush Egg. 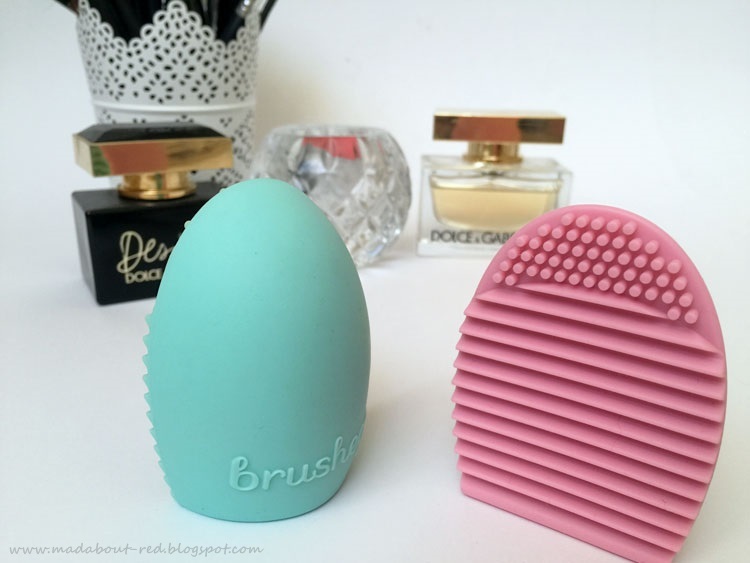 One of my readers can win this Bush Egg on my blog today. I bought the mint one for my self, and the pink one for one of my readers. The rules are simple. Since you came here and read the whole post, just simply comment on this post and tell me how you wash your make up brushes and how often. Leave email too. I will pick one reader at the end of this week. Odlična zadeva, čeprav je še nimam. Jaz zdaj tudi kar čistim z trdim milom in tudi zame je to psihično naporno opravilo. Res groza zakaj mora tako dolgo trajati. Enako je z odtranjevanjem makeupa. Mažem se lahko 3 ure, ko pa moram vse to odstranit, pa mi je mučno:).